CRC understands the importance for continuous improvement to safety in food processing & packaging. Perma-Lock™ is just one way we continue to improve our Food Grade product line. In addition, all CRC NSF H1 Registered products have a GHS compliant label. Dual Hazcom labeling. Labeled for OSHA GHS requirements (Industrial Workplace), as well as, CPSC Retail requirements. NSF Category Code and Registration number prominently displayed. S.D. [L.® Safety Data Label. Provides an abridged version of the SDS with access to important safety information right on the can where you need it. Silver Banding on the top of the label and Green Stoplight™ graphic provide a quick visual identification of CRC H1 products. 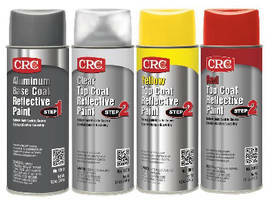 Perma-Lock™ logo exclusively for CRC NSF H1 aerosol products. Bilingual labels where space allows. CRC is committed to providing current and reliable information on our products and services and we want to make finding that information fast and easy. 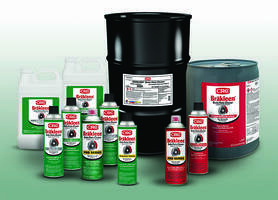 For information about our complete line of Electrical and Industrial Maintenance Chemicals, contact CRC Industries, 885 Louis Drive, Warminster, PA 18974. Phone (800) 272-4620 or visit our website: www.crcindustries.com/ei today to find Your Best Solution™!